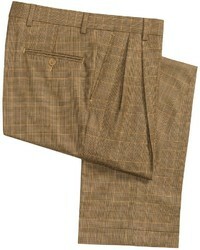 Dress in a brown plaid wool blazer and brown plaid wool dress pants for a sharp, fashionable look. Consider pairing a dark brown overcoat with Barry Bricken cuffed plaid dress pants wool double reverse pleats like a true gent. Break up your getup with more casual footwear, such as this pair of brown leather brogues. 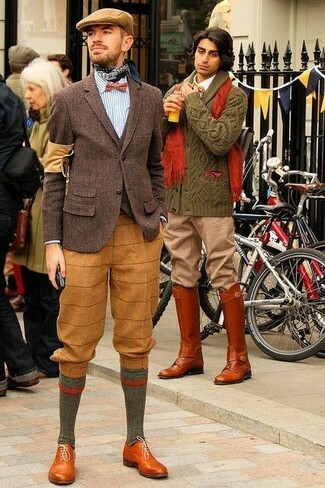 Go for a brown plaid wool blazer and brown plaid wool dress pants to ooze class and sophistication. Add a glam twist to your ensemble with tan leather oxford shoes. 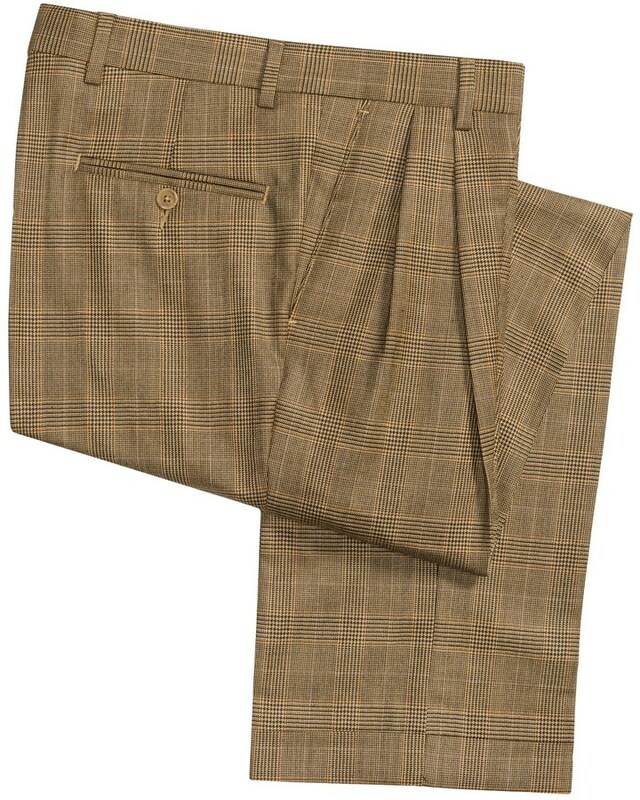 Dress in a brown overcoat and Barry Bricken cuffed plaid dress pants wool double reverse pleats from Sierra Trading Post for a sharp, fashionable look. 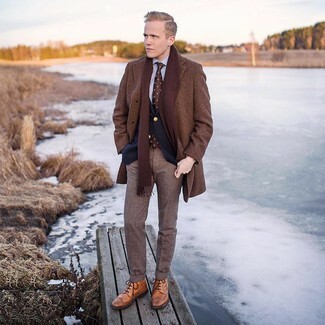 Add a sportier feel to your look with tan leather brogue boots. 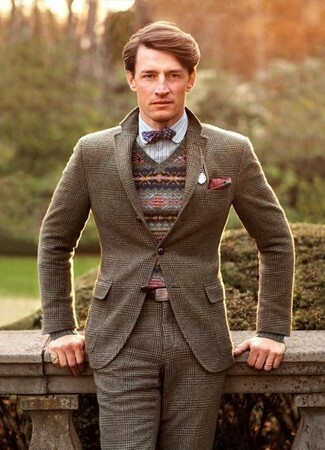 Consider wearing a brown plaid wool blazer and Barry Bricken cuffed plaid dress pants wool double reverse pleats like a true gent. For a smart casual ensemble, make a white knit wool turtleneck and Barry Bricken cuffed plaid dress pants wool double reverse pleats from Sierra Trading Post your outfit choice — these two items the place of work nicely together. White leather low top sneakers will deliver a sportier vibe to your getup. 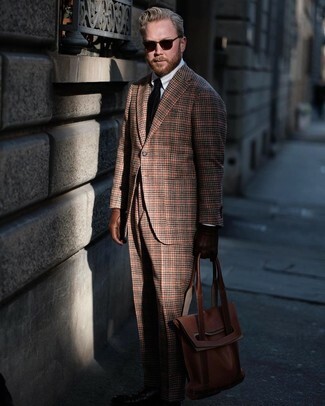 For a nothing less than incredibly stylish outfit, consider pairing a dark brown wool blazer with Barry Bricken cuffed plaid dress pants wool double reverse pleats from Sierra Trading Post. Amp up the cool of your look by rounding it off with tobacco leather oxford shoes.